Diversifying its midrange smartphones portfolio, South Korean electronics giant Samsung on March 26 unveiled the Galaxy A70. Expected to launch in India on April 10, the smartphone will be the fourth device in the 2019 series of the Samsung Galaxy A smartphone series. 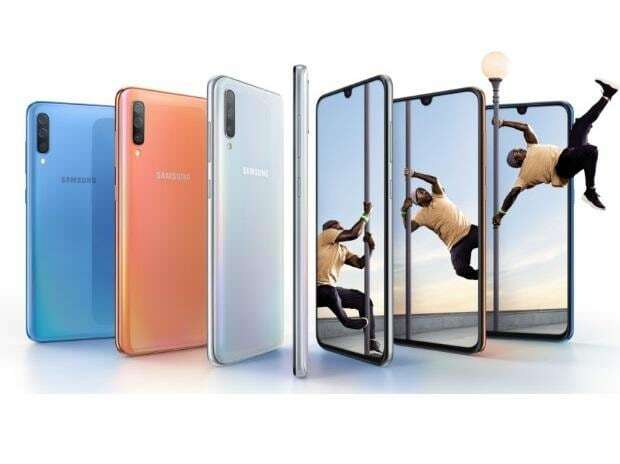 The current range of Galaxy A-series smartphones includes the Galaxy A50 (review), Galaxy A30 and the Galaxy A10. The Galaxy A70 boasts the company’s first 25W fast-charging technology for quicker battery replenishment time. Powered by a 4,500 mAh battery, the phone has a 6.7-inch fullHD+ AMOLED screen with a waterdrop notch on top, accommodating a 32-megapixel front-facing camera for selfies. On the back, the phone has a triple-camera module, featuring a 32MP primary sensor of an f/1.7 aperture, an 8MP ultra-wide lens, and a 5MP depth sensor. The camera supports a scene optimiser for auto scene selection that can recognise up to 20 scenes. It also features ‘flaw detection’, which automatically identifies and notifies glitches before taking a shot. The phone will be available in four colours — coral, blue, black and white. All the colours would feature a gradient design, reflecting different colour hues depending on light direction and reflections. The Galaxy A70 has an on-screen fingerprint scanner for phone unlock. It features Samsung Pass, which keeps a record of users' credentials and allows them to sign in on websites and apps using biometric authentication. The phone comes loaded with Samsung Knox, a security platform that allows users to safeguard their information and phone’s content. The phone boots the Android Pie operating system-based Samsung One UI. Designed for big-screen smartphones, the One UI makes it easy to use the phone using one hand. It also has a dedicated night mode which enables a system-wide dark theme. Additionally, the Galaxy A70 includes Samsung Health, Samsung Pay, and Bixby.